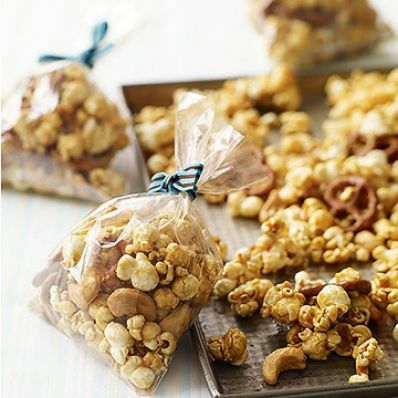 This super-easy family favorite recipe combines popped corn, pretzels, and cashews and makes a great food gift! 1 of 4 Place the popped corn, pretzels and cashews in the paper bag. Shake to combine. 2 of 4 Melt butter in a large microwave-safe bowl, 1 minute. Stir in brown sugar, corn syrup and salt. Microwave 2 minutes. Mixture will boil. Carefully stir and microwave for additional 2 minutes. 3 of 4 Stir baking soda into sugar mixture. It will foam up. Carefully pour over popcorn mixture. Fold top of bag over and shake to coat popcorn. 4 of 4 Place bag in microwave; cook 7-1/2 minutes. (Watch carefully, as higher wattage ovens may cook faster. Alternatively, transfer mixture to a greased sheet pan; bake at 250 degrees for 1 hour, stirring.) Remove bag and shake. Microwave an additional 1 minute. 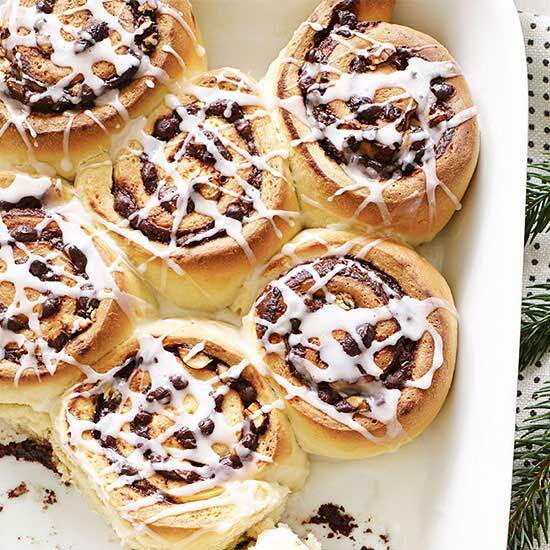 Pour onto large cookie sheets to cool.